Fully brandable with your logo and design! The Rubik’s collection brings a host of exceptional, creative products, which will twist and turn your idea of the perfect corporate gift. This much-loved retro original cube continues to be one of the most popular promotional items available, thanks to it’s broad appeal and creative branding opportunities. 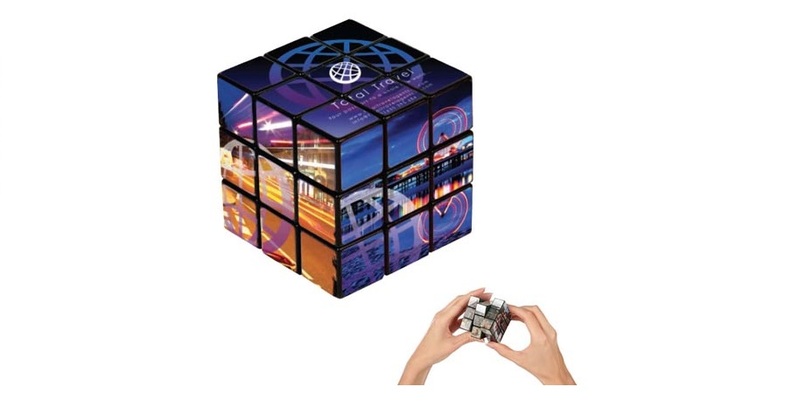 An iconic product for over 40 years, the promotional Rubik’s cube is a proven best seller for the promotional market. With your branding to all 6 sides, it will keep your brand in your customers’ hands (and minds) for even longer! The timeless Rubik’s classic has evolved and now includes a select range of quality products that all bear their own interpretation of the statement Rubik’s design. Promotional Rubik’s gifts with a twist! Ensured to captivate, fascinate and challenge. Click here to see the Rubik’s range in our product catalogue.